Phnom Penh, 30/11 – 02/12/2017 — Zamil Steel Buildings Vietnam was present at Koh Pich Exhibition Center, Phnom Penh to participate in the Cambodia Construction Industry Exposition & Summit 2017. 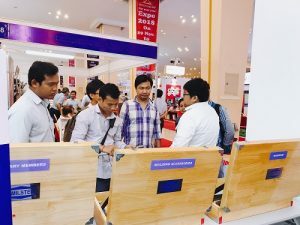 Organized by the Cambodia Construction Asssociation (CCA), Cambodia Construction Industry Exposition & Summit is the largest national construction event for 2017. The event seeks to create a platform for construction professionals to explore partnerships, exchange experiences and showcasing the latest construction products and technologies. This year, the Exposition attracted over 200 exhibitors from different countries, featuring more than 600 products and services of all kinds: ranging from construction materials, equipments and machinery to architectural services, banking and financial solutions, etc. Joining the Exposition as an exhibitor, Zamil Steel Buildings Vietnam has brought our three major products to the market in a nicely decorated booth. 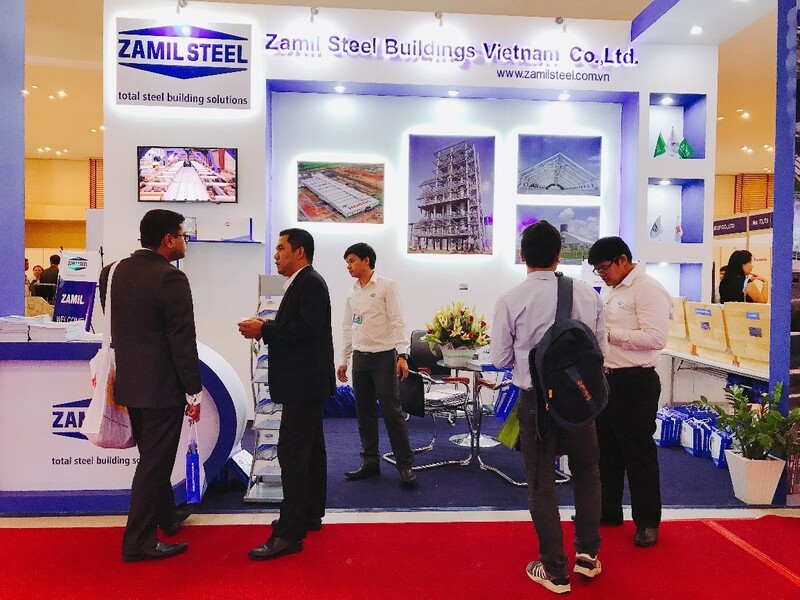 Featuring pre-engineered steel buildings (PEB), structural steel and the MaxSEAM® roof system, Zamil Steel Buildings Vietnam enthusiastically discussed with the visitors about the advantages of steel building in modern construction and its capability to facilitate all designing requirements. 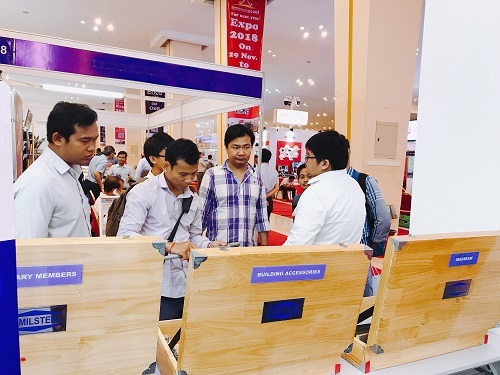 The booth was managed by our Cambodia Sales staff and has welcomed more than 200 visitors during the three-day event, including contractors, engineers, architects, investors, landlords and other professionals. 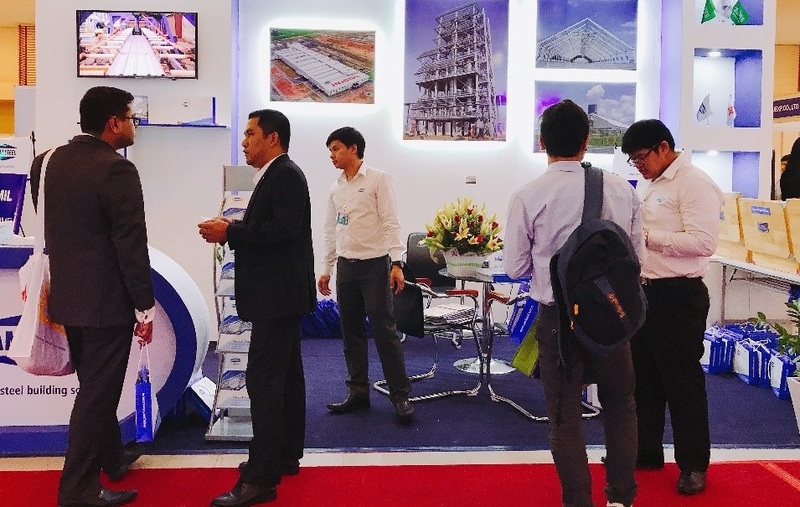 With the success of the Exposition, Zamil Steel Buildings Vietnam has managed to increase our brand awareness as well as create new networks and partnerships in the construction sector in Cambodia.